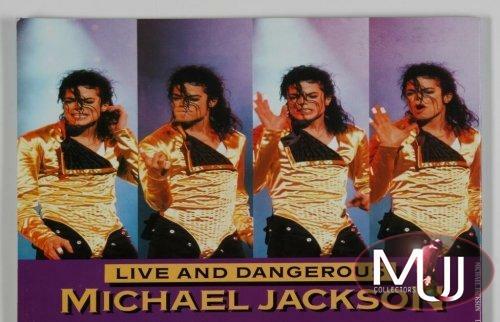 Signed copy of "Live and Dangerous: Michael Jackson" by Adrian Grant, signed on the cover "love Michael Jackson" and on the interior cover "Michael Jackson." 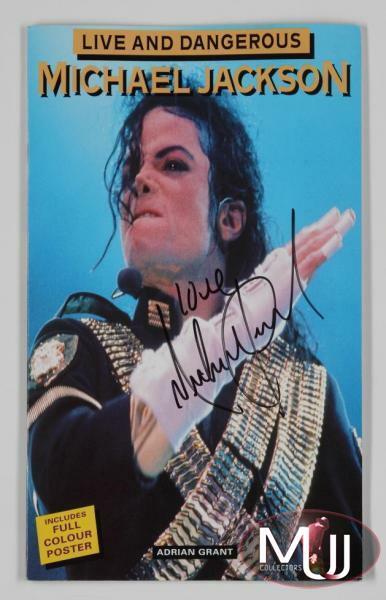 Sold by Julien's Auctions (Lot #650C) for $1,875.00 at their 2010 Icons & Idols auction. All screen captures are the property of their respective owners.